After more than four years of investigation, and 70 separate agreements, the Department of Justice (DOJ) announced news Friday of a massive $257 million settlement, covering a record-breaking 457 hospitals, for the alleged fraudulent placement of implantable cardioverter defibrillators (ICDs) between 2003-2010. I have previously written about the twists and turns of this particular nationwide investigation—the most prominent example of the medical necessity-based health care fraud investigations—here, here, and here. Why ICDs initially caught the attention of the DOJ seemed to be the fact that ICDs are highly expensive—costing Medicare about $25,000 per implantation—and, following a whistleblower’s lawsuit in 2008, the DOJ commenced a review of “thousands” of ICD placements nationwide. As I have written about before, hospitals across the country—including renowned hospitals such as the Cleveland Clinic—were included in the initial review, but not all of ended up on the settlement list (a full list of settling hospitals is available here). Although the full details of the settlement have not yet been made public, there seems to have been a difference between all of the hospitals that placed ICDs outside of Medicare’s timing guidelines and those that the DOJ felt were particularly egregious (apparently less than half of the hospitals on the original investigation list ended up as part of this settlement). This is important because it may indicate a difference—in the DOJ’s thinking—between Medicare’s coverage standard, and its “medical necessity” standard for purposes of fraud enforcement. Jaime S. King is a Professor of Law and the Associate Dean and Co-Director of the UCSF/UC Hastings Consortium on Science, Law and Health Policy, the Executive Editor of The Source on Healthcare Price and Competition, and the Co-Director of the Concentration on Law and Health Sciences. In 2015, she also received the UC Hastings Foundation Faculty Award for Outstanding Scholarship. King’s research examines some of the most complex challenges facing the U.S. healthcare system. An advocate for health reform, King focuses on the drivers of healthcare costs, with a special interest in market consolidation and efforts to improve transparency in healthcare pricing. In conjunction with Consortium Senior Fellow, Anne Marie Helm, she founded The Source on Healthcare Price and Competition, a multi-disciplinary web-based resource for information and analysis about healthcare cost and competition. Check out the October 30 edition of the Petrie-Flom Center’s biweekly e-newsletter for the latest on events, affiliate news and scholarship, and job and fellowship opportunities in health law policy and bioethics. How does the Bipartisan Budget Bill change Social Security Disability Benefits? On Tuesday, details of the new Bipartisan Budget Bill, a bill negotiated between Congress and the White House, were released. This bill funds the government for two years and extends the debt ceiling, two important budgetary moves Speaker Boehner promised to leave his successor with a clean slate. Less reported is that this bill makes some small but important changes to our nation’s two largest budgetary social programs, Medicare and Social Security. But the changes made to Social Security Disability Insurance eligibility extend beyond that program and will be important for state Medicaid agencies and for low-income people with disabilities. What is the Social Security Disability Trust Fund? Not part of the original Social Security Act, the Disability Insurance (SSDI) benefit was added in 1957. As of 2014 there were 10.9 million Americans receiving this benefit totaling $141 billion or 4% of the federal budget. In the last Trustees report for the projected future cost of the SSDI program, the trustees projected the exhaustion of the trust fund in 2016. This would mean that the nearly 11 million beneficiaries would see their benefits cut by 19% next year because incoming tax revenue would only be able to cover about 80% of the benefits. Our discussion’s themes included “everything old is new again:” it turns out that many au courant cost-cutting ideas were part of health policy discourse in the 1960s, 50s, and even 40s. We also explored the validity of the conventional wisdom on the rise of employer-sponsored insurance. And we considered what health policy might look like, if it were better informed by history. 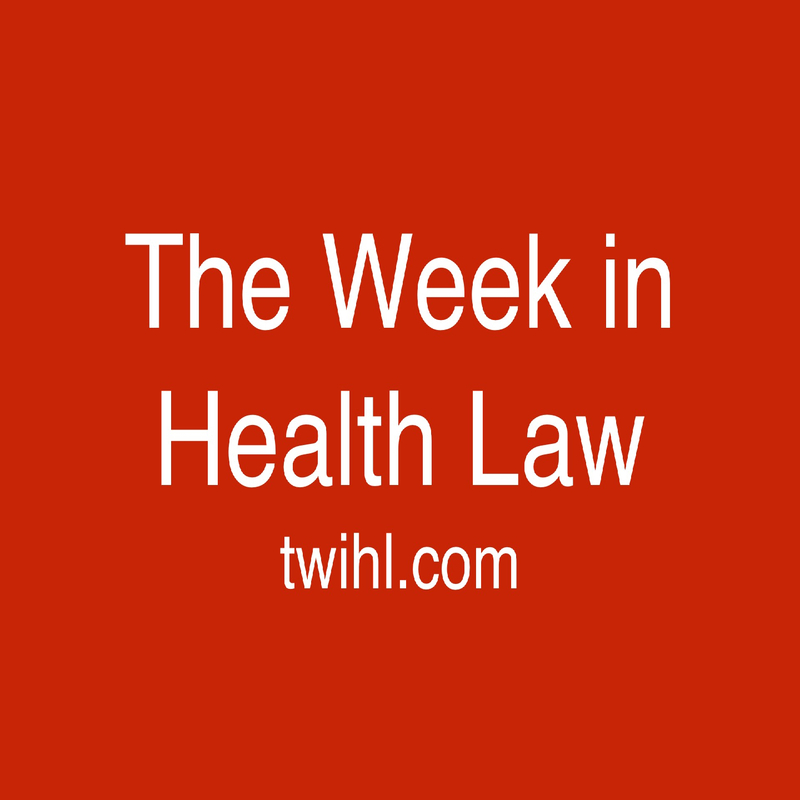 Subscribe at iTunes, listen at Stitcher Radio, Tunein and Podbean, or search for The Week in Health Law in your favorite podcast app. 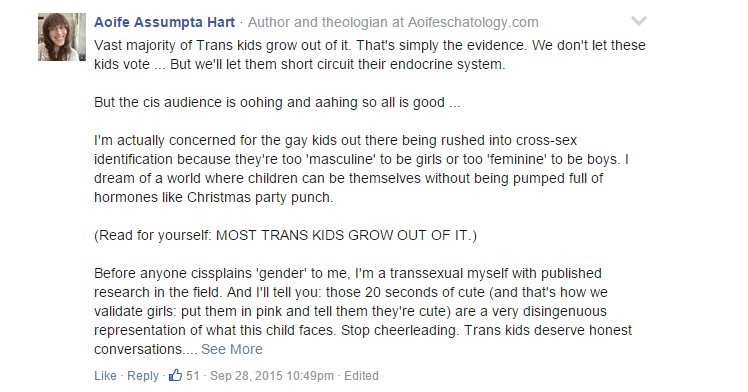 Hormonal Treatment to Trans Children – But what if? A few weeks ago I ran across this BuzzFeed post, telling the story of Corey Mason, a 14 year old male to female Trans teenager who was filmed getting her first pack of estrogen hormones. Her mom Erica, who uploaded the video to Facebook and YouTube, spurred a social-media discussion on the topic of hormonal treatment for Trans children and youth. Erica said the vast majority of reactions were very supportive. On the other hand, different views and opinions were put on the table as well, even from people who ally completely with Trans identity politics. One of them, a Trans woman, said she fears from rushing (perhaps gay) teenagers into irreversible treatments, as most Trans kids “GROW OUT OF IT”. This position was also taken by Alice Dreger, a Bioethicist and a historian writing on Intersex issues, in describing the uneasy choice between the two models available at the moment: On the one hand you have the ‘therapeutic model’ offering mental health support to the Trans person and/or family, to help ease up the tensions caused by gender identity dysphoria (GID). This model aims to relax the dysphoria and so avoids any medical irreversible interventions. On the other hand, you have the ‘accommodation model’ asserting there’s nothing wrong with the trans person and/or his/her family, and so offers medical interventions to accommodate it. As flu season begins, we are bombarded by ubiquitous reminders to get our flu shot. So, it is a good opportunity to reflect on how we provide vaccines to our fellow citizens 65 and older. By law, Medicare Part B covers 4 preventive vaccines (flu, two pneumococcal, and hepatitis B for medium-to high-risk patients). Part D picks up the rest, namely shingles, TDaP, and any other commercially available vaccine. But, that’s where the trouble begins. When Congress passed Part D, the vaccines recommended for those 65 or older were basically covered by Part B. Now, they aren’t. In 2006, the zoster (or shingles) vaccine came onto the market. In 2010, the recommendations for the TDaP (the P for pertussis or whooping cough being the most relevant here) changed to include the elderly. China’s Standing Committee of the National People’s Congress (NPC), the country’s legislature, will hold a meeting from October 30 to November 4 to review the authorization of the State Council, the central government, to carry out a pilot program that will introduce market authorization holder of drug (MAH) system and reform the drug registration system. On August 9, the State Council issued the Opinions on Reforming Review and Approval Process for Drugs and Medical Devices (RAP Opinions). Since several key reform measures initiated by the RAP Opinions involve amendments to China’s Drug Administration Law, the State Council must receive the authorization of the NPC. If the authorization is approved by the NPC, the reform of China’s RAP will be accelerated.